Matr er mannsins megin (Old Norse). 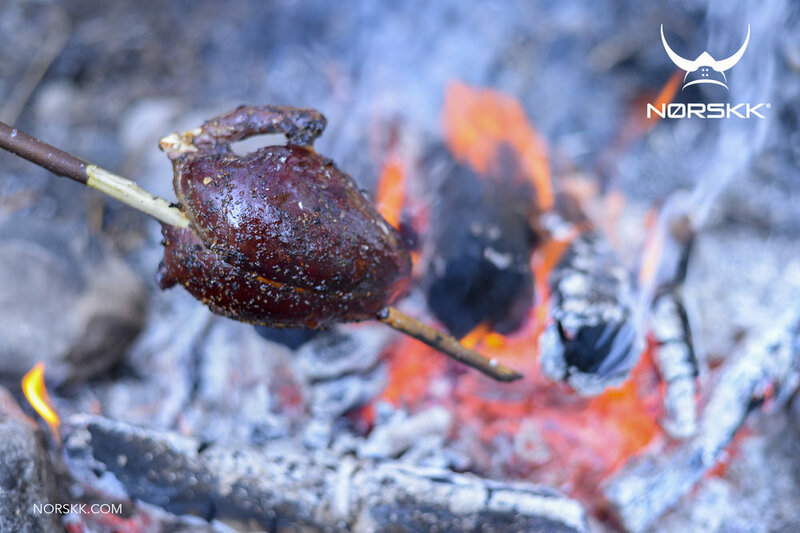 Meat is man’s strength. Yes, some clinically retarded Icelanders will claim the saying actually means "food is man's strength". First, you should forgive them... What can you expect for people who are now raised gender neutral, and who have replaced the teachings of the old ways, including knowledge of Old Norse, with feminist propaganda? Because, yes, there is a difference between norrœnt (western Old Norse, or Gammel Norse), and modern Icelandic. Often words, sentence structure, and grammar may be different. But even when these are not, the very same words can have a different meaning, due to context (much more essential in Old Norse than it is in modern Icelandic), and also the very understandable evolution of words and meaning over 1,200 years. 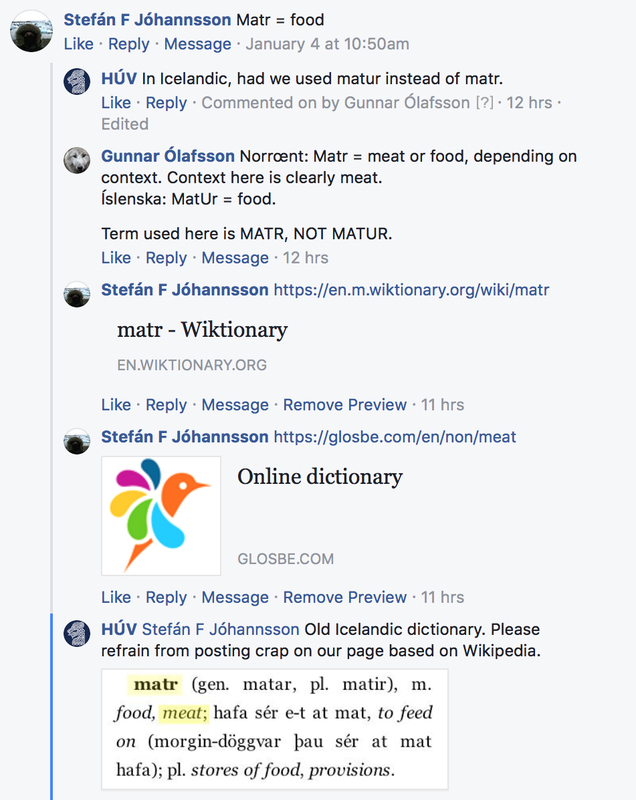 So, while "matr" does mean “food” in modern Icelandic, it also means “meat” in Old Norse based on context and original meaning of the term. Context relates to strength being needed for combat, and traditionally requiring meat. Margaret Atwood, a Canadian feminist, was extensively whining about the concept recently... Saying that men had larger upper muscle mass than women and were better for combat. As a result, they were the ones getting all the meat throughout history, instead of women, precisely so they could fight. She then had a massive diarrheatic brain fart when she claimed this was the reason women were weaker... No meat... Right after she had stated women weren't getting the meat as they were weaker to start with and unsuitable for combat... But anyway, like with modern Icelanders, primarily liberal cucks nowadays, you can't expect a feminist to make any sense. Here’s an exchange with one of my bros.